Fritschi has been our touring binding of choice for well over a decade. Frank and I both skied all of Colorado’s fourteeners on the original, reliable yet heavy, Fritschi Freeride. 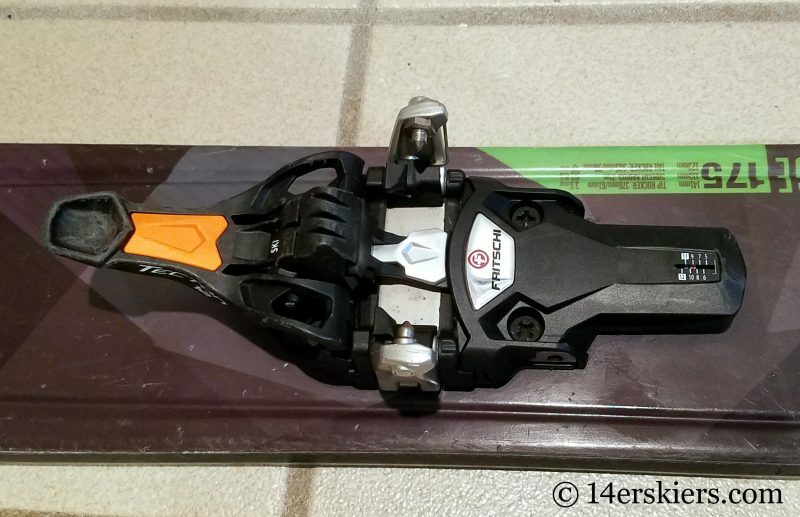 For safety reasons, after watching friends skis over and over again rocket down various mountains, we were not quick to adopt the Dynafit tech touring binding movement. But, that changed once other manufacturers like Marker and Fritschi. We still love our Fritschi Vipec. And now we have some great things to say about the Fritschi Tecton too. Upon its initial public released at SIA 2016, I reviewed the technology of the Fritschi Tecton. But, this post reviews their performance after using them regularly for a full year. As someone who has torn her ACL three times, the safety of the bindings I ski on is of utmost importance to me. 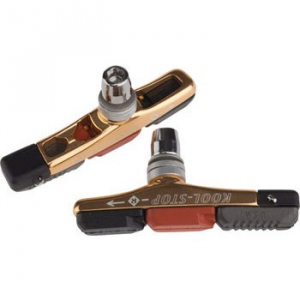 I need a binding that will stay on through steep and technical terrain, which I can trust will stay on my feet when I need it most. But, at the same time, I also need the binding to release when it should to save potential knee injuries. I have never liked the thought of skiing a tech binding in “locked mode” for fear that it won’t release when I actually need it to. The Tecton provides a perfect blend of reliability and releaseablility by integrating a host of features. To The Tecton has a DIN-style setting for both to toe and the heel of the ski. The heel is based on an alpine-style binding, creating downward pressure to connect the heel of the boot with the ski. In the case of a twist or fall, the heel will release from either torsional or lateral forces when needed. Similarly, the toe of the Tecton also has a DIN-style setting which will release mostly from torsional impacts. The toe piece of the Fritschi Tecton binding, with the DIN setting in the rear. Let’s face it. Tech bindings are kinda sketchy on the descent. I mean, we are relying on tiny little pins in four little places to withstand some exceptional forces while we ski. 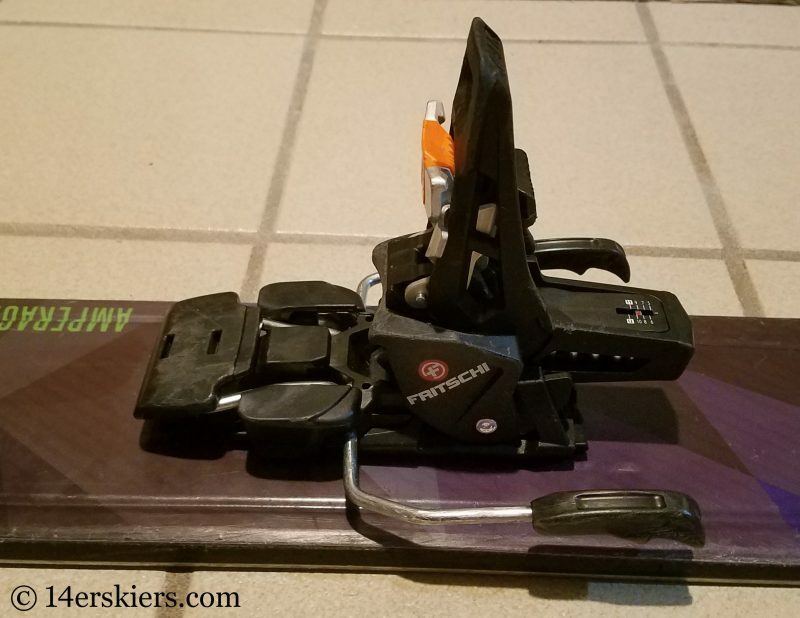 Even sketchier is the fact that when you click into your bindings, you have to make sure that every pin is lined up just right to ensure that your ski is less likely to fall off when it shouldn’t. The toe pins are easier for a skier to see as they click in. But, the heel is harder to view and it’s security is more often verified by feel or sound. So, with the right sound, we think that these two tiny little pins have crept up into the proper position on the heel of our boot… we hope. Yep, that’s kinda sketchy. But, the Tecton heel works differently. With the alpine-style heel, the security of the heel position is both visibly and audibly verified. You can see that the brake is down, the binding wraps securely around the heel, and that the heal piece release lever rises upward. If you’re a resort skier, you’ve probably done this a thousand times over. Less sketch than the weak forward pressure of two little pins? I certainly think so. The Fritschi Tecton heel, ready to step into for skiing like a traditional alpine style binding. Notice the DIN adjustment. 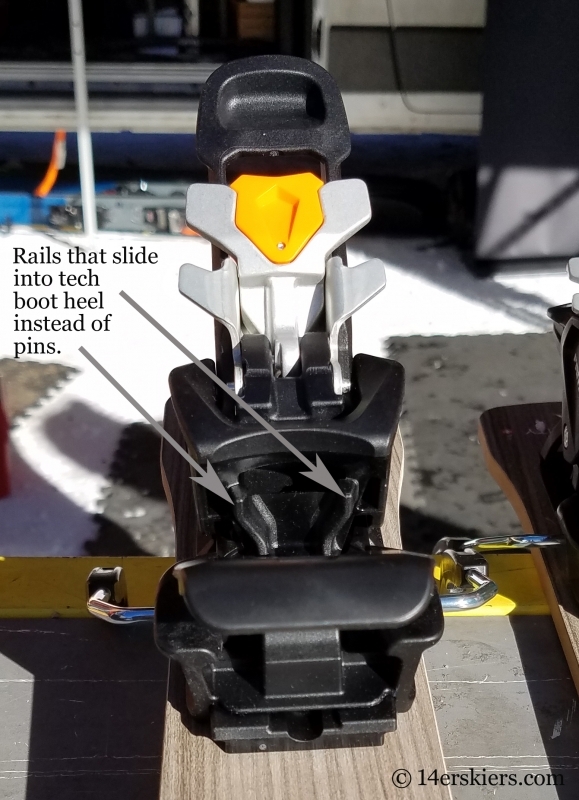 The Fritschi Tecton heel improves ski performance not only through it’s downward pressure, but through it’s improved contact through the tech inserts on the heel of the boot. 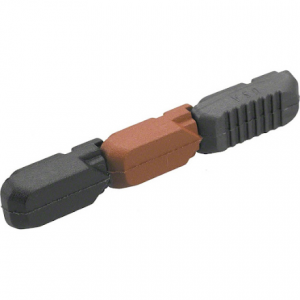 Instead of using two small pins in this insert, the Tecton has rails that slide into the heel. This improves the overall power and lateral stability while skiing. Most tech bindings are very rigid to ski on. You feel every bit of chunder beneath your feet. But, the Fritschi Tecton skis a bit more damp, softening the vibrations and making the ski more enjoyable. Yes, it is still more rigid than a typical alpine binding, but better than most tech binding models. Because of this, along with the DIN-style release capabilities, make the Fritchi Tecton a decent binding for occasional resort use. 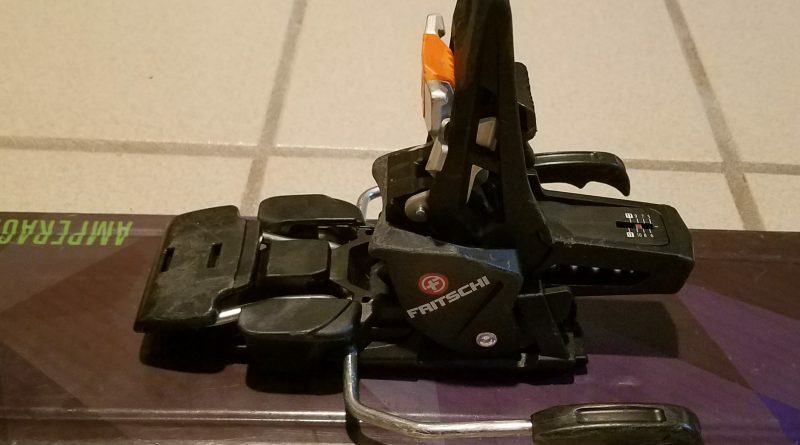 If you’re one of those people who doesn’t ski the resort very much or if you need to travel and need a one-quiver set-up, the Fritschi Tecton is a good choice for mixed use. As a backcountry skier, I’m always striving to find the right balance between lightweight gear and performance. Admittedly, I’m not one to always gravitate to the lightest gear as I often finding it failing to perform to the standards I desire when I really put it to the test. The Fritschi Tecton strikes a perfect balance of weight vs. performance. I like the way this binding skis, tours, and have found it to be durable and reliable. At the same time, at 550 grams per pair (80 grams more to add brakes), the Fritschi Tecton still stands out as being a lightweight binding. 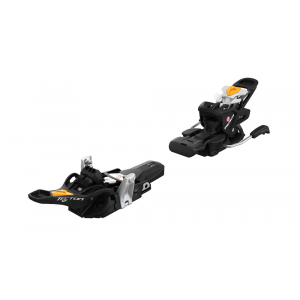 Add the fact that it comes with a host of safety mechanisms to help prevent injuries which many exceptionally lightweight bindings are lacking, and the Fritschi Tecton is a great bang for your buck. Every binding has it’s quirks and tech bindings seem to be plagued with a host of them. There are two quirks I have found while using the Fritschi Tecton bindings. The first is a problem that has also been noted with the original Vipec and Vipec Evo, since they all basically have the same toe design. The springs can loosen causing the toe to not open fully when trying to step-in to the binding. If you encounter this, all you need to do is hold the adjustment tab of the toe-piece down to open the toe more while stepping into the binding. However, Black Diamond has noted that this issue is preventable by simply storing your binding (when you are done skiing/touring for the day) in ski mode as opposed to walk mode. Storing the Tecton in ski mode will help prevent the stretching of the springs. The Fritschi Tecton heel in locked touring mode. The second quirk I’d like to mention is related to the heel. 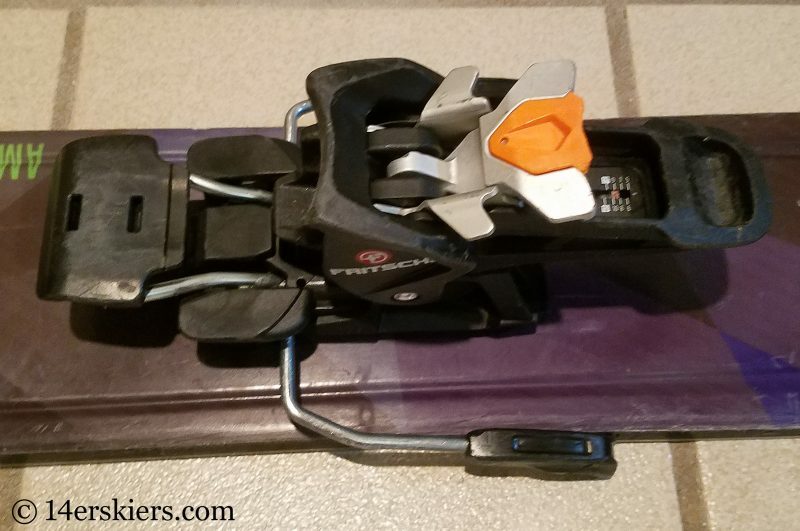 In the original Fritschi Vipec, I have had issues with getting the heel piece back into ski mode. With the Fritchi Tecton, it’s the opposite – I have had problems occasionally getting the heel piece to lock into tour mode. 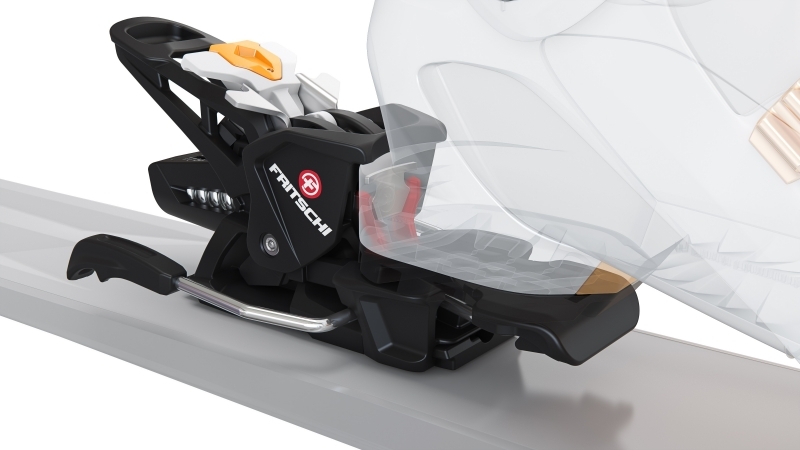 When the Tecton locks in tour mode, the part of the binding that makes contact with the boot while skiing slides back and downward, into a hole in the binding. In wet snow conditions (the same conditions that cause the problems with the Vipec heel), the snow builds up inside the hole, prohibiting full locking of this mechanism. However, this does not inhibit the ability to tour entirely. The only real inhibition is that the brake won’t stay locked up, so it tends to continue to drag as you tour. One solution – tie the brake up with a ski strap. Second solution – same solution as with the Vipec heel – put some hot air into the hole by blowing on it solidly a 5 times or so. It usually melts the snow out of the way enough so that the locking mechanism is no longer inhibited. After skiing on the Fritschi Tecton for a full year and putting it through some difficult tests, I can honestly say I’m pleased with this binding for it’s both it’s reliability and performance. The Fritschi Tecton has released when I needed it to, yet has never come off when it should not. As previously mentioned, I also enjoy that the transitions are easy, it is lightweight, skis well, and is integrated with technology to help prevent injury in the field. I look forward to another season of skiing on the Fritschi Tecton! Don’t forget, more specific details on the design of the Fritschi Tecton are discussed in our previous review! overview of the functionality, reliability, and performance of the Fritschi Tecton binding after using this product for a year. Hi 14erskiers! Nice work on this review. What is your perception on the durability of this binding? Seems like a lot of plastic. I’m particularly interested in way that heel piece deals with the downward forces transferred to it via the climbing risers during skinning. I used to live in the Gunnison Valley and dabbled in touring (on heavy freeride skis and dukes) while I was there. 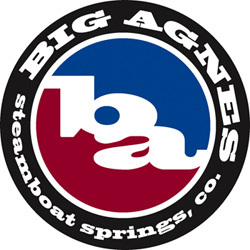 My friends mentioned your blog and I’ve been following it since I lived in the valley! Your trip reports and honest reviews of gear like this provide some informative reading. I’ve since moved to the Swiss Alps and have embraced the tech binding lifestyle but I’m less keen on the harshness I feel from my atk freeraider bindings so I’m quite interested in a binding that absorbs some vibration, but I also want something that is durable. Thanks for your comment and compliments Ben! So far, the durability of this binding has been great. Yes, it’s a lot of plastic. But, traditional alpine bindings are made of the same material as these and withstand exceptional use over many years. The older Fritschi Freerides were also made with a similar plastic. We used several pairs over many years and I we only had one break in the field – and that binding was probably close to ten years old. As far as forces incurred by climbing risers – haven’t had a problem. Remember that when you use risers, still only a fraction of your weight actually ends up on these risers. 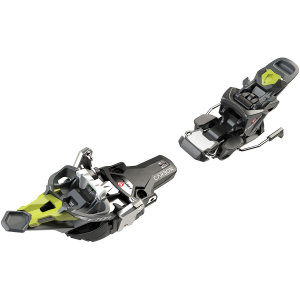 The rest of the force is distributed through the foot/boot to the front of the binding, and the majority of the time most people tour, more force is usually near the toe rather than the heel – despite the fact that sometimes you feel you need to put more pressure on your heel to help with traction while skinning up steep slopes. 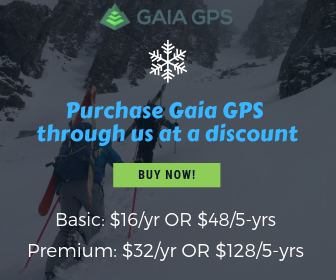 Plus, the forces of touring are nowhere near the forces encountered while skiing, when you start using centripetal forces to engage and really bend your ski. So, I don’t see the use of the climbing risers while skinning to have a negative impact on the durability of the binding and have not seen any signs that would indicate otherwise! Hope that helps! Hope you guys have a great season in the Swiss Alps. Much snow there yet?